Dr. Bruce Moore, OD, Professor Emeritus at the New England College of Optometry and Paulette Tattersall DipPharm, MSc., Director of the Northeast Region for the nonprofit Prevent Blindness explain what school nurses need to know regarding Children’s Vision, emphasizing the importance of early detection of vision issues. Dr. Moore’s career as a pediatric optometrist has been devoted to studying the visual problems and therapeutic options for young children. His optometric career began at the Boston Children’s Hospital Department of Ophthalmology and the Harvard Medical School, where he practiced, taught, and carried out his research interests in pediatric eyecare for 22 years. Dr. Moore assumed the position of the Marcus Professor of Pediatric Studies at the New England College of Optometry in 1997 and served as a Department Chair for over a dozen years. Dr. Moore has published over 200 papers, posters, chapters, and two textbooks on a variety of subjects in pediatric optometry. His text, Eye Care for Infants & Young Children, published in 1997, became the standard textbook in pediatric optometry for students and practitioners. Dr. Moore is active in an array of research and policy efforts involving vision of children. He has been a leader in efforts to develop broader, more rational, and more effective programs for vision care for children on local, state, national, and international levels. Dr. Moore is Co-Chair of the Children’s Vision Massachusetts Coalition and a member of the National Center for Children’s Vision and Eye Health. He has been a principal investigator in a National Eye Institute funded multi-center study of vision screening of children, the Vision in Preschoolers (VIP) Study, which aims to develop an efficient and effective battery of vision screening procedures that are applicable to broad use in preschoolers throughout the United States and to evaluate the relationship between vision and learning in preschoolers. He received the Jenny Pomeroy Award for Excellence in Vision and Public Health from Prevent Blindness in 2016. 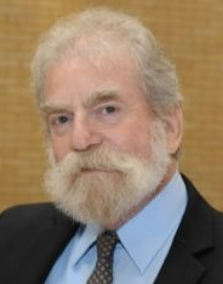 Dr. Moore partially retired from full time faculty status at the New England College of Optometry and is currently Professor Emeritus at the College. Paulette Tattersall is Director of the Northeast Region of Prevent Blindness and Co-Chair of Children’s Vision Massachusetts, a 70-member coalition working toward a statewide systematic approach to vision care so all children have the opportunity to experience their best possible vision. Paulette's 15-year experience in pediatric vision care, in both research and clinical settings, involved close collaboration with school nurses and health managers. Previously, as Pediatric Program Director at the New England College of Optometry she led and managed Massachusetts’ first mobile vision clinic. The program provided on-site comprehensive eye exams and eyeglasses to over 8,000 preschool through high school children in underserved areas of the state. The mission of Prevent Blindness is to prevent blindness and preserve sight, and since the nonprofit began as a grassroots organization in 1908, it has been providing information to all Americans about vision and eye health. Prevent Blindness also provides vision screening trainings and certifications, and research support for vision research. The organization advocates for policies that will influence and support Americans along their journey to vision health. Planners and presenters of this program have no conflict of interest to disclose and no commercial support has been provided for this program.